Dr. Danilewsky's book chronicles his 3-yr effort to design and develop a practical personal aircraft. His work, now largely overlooked, was done at a time when the whole world was "abuzz" with activity attempting to achieve controlled, human flight. During 1987–1899, he conducted experiments on four different airship designs. Since he did not have access to a light-weight petroleum engine, his experimentation was done using human power, knowing full-well that when a suitable engine became available, it could simply be added. 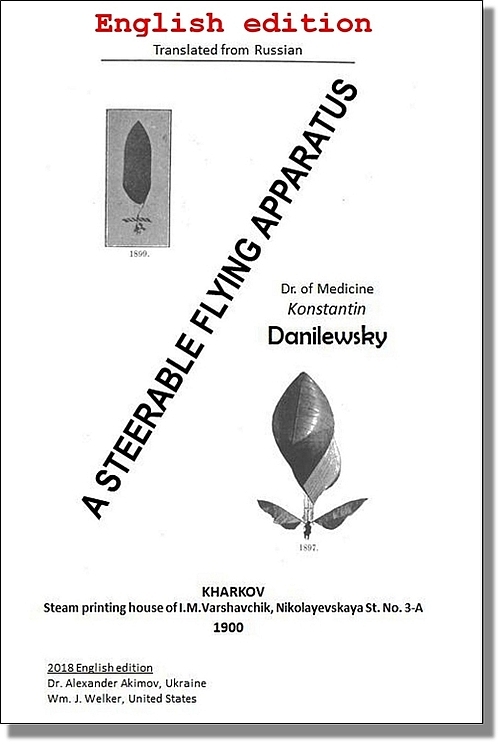 Dr. Danilewsky's work therefore concentrated on positive control by the pilot and flying against the wind. Though he succeeded, two impediments fiercely opposed him: Funds to continue his work, and the unwillingness of the aviation "world" to develop aviation slowly, methodically and instead charge uncontrolled into the fledgling "heavier-than-air" competition of the age. Whether you found this page from the "Then & Now" article on the airships of Konstantin Dalilewsky, or arrived here from an Internet search, we hope you find this page useful. Click on the image above to view or download the free Airbike...1897 book. Published by Sapphire Publications, ISBN 978-1-62374-015-3, April 10, 2019, 342 pgs. 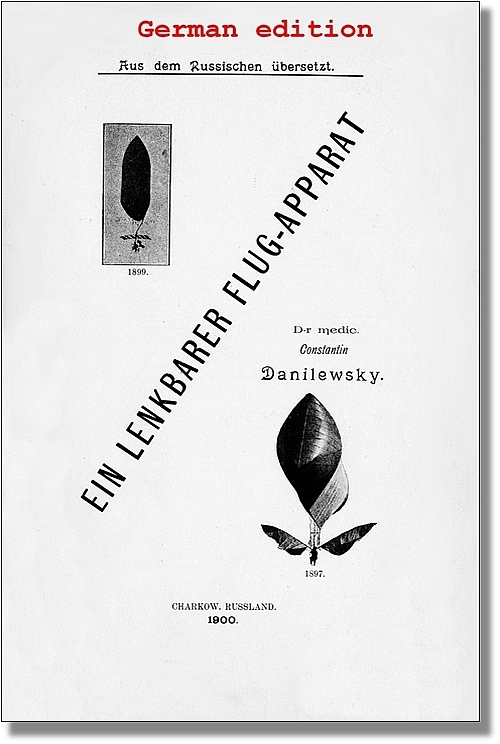 All three language editions are presented along with a biography of Dr. Danilewsky (in Russian, Ukrainian, and English), commentary on the transliteration of the author's name into English, an article on the production of hydrogen used for airships and the Danilewsky airship designs (also found on this website), and some historical information about where Dr. Danilewsky's experiments were conducted. 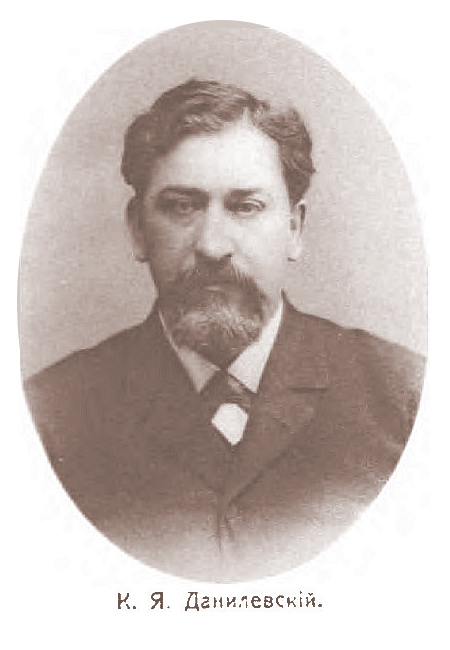 Konstantin Yakovlevitch Danilewsky (1855 – after 1917), was a scientist, physician-neurologist, inventor, aviation pioneer. “K. 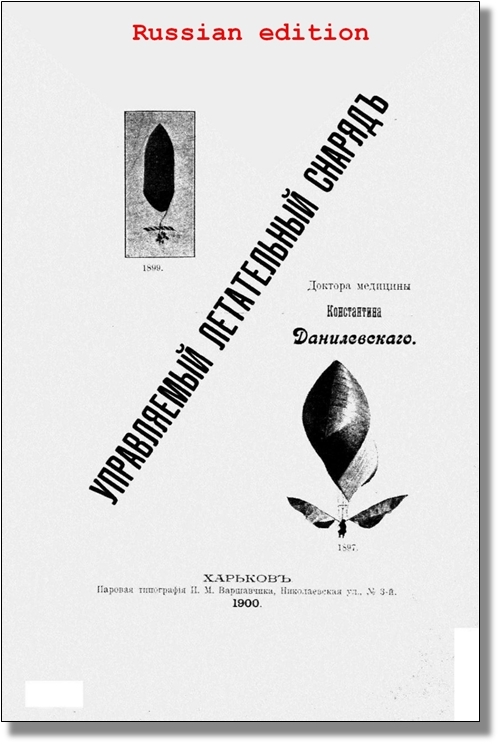 Danilewsky, with his methodical and scientific approach, and safety-first attitude, very well could have become the Santos-Dumont of Russia and Ukraine”. Костянтин Якович Данилевський (1855 – ? після 1917) – вчений, лікар-практик (нервові хвороби), винахідник, піонер авіації. “К. Я. Данилевський, із його методичним та науковим підходом, із його пріоритетом безпеки польотів – без сумніву міг би стати для України та Росії своїм Сантос-Дюмоном”. Константин Яковлевич Данилевский (1855 – ? после 1917) – учёный, врач-практик (нервные болезни), изобретатель, пионер авиации. “К. Я. Данилевский, с его методичным и научным подходом, с его приоритетом безопасности полётов – вполне мог бы стать для России и Украины своим Сантос-Дюмоном”. 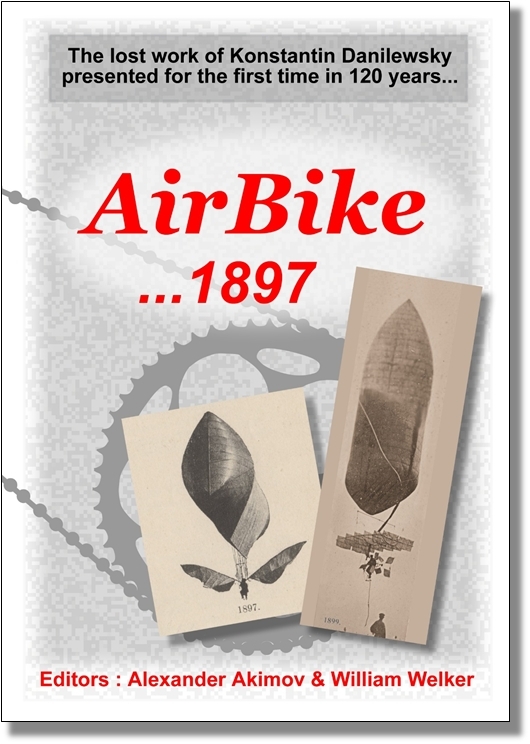 Download your free copy of Airbike...1897! Click HERE to download. The PDF file is just under 18MB, so you may wish to save the file to your computer. Click to jump to the "Then and Now" main page.